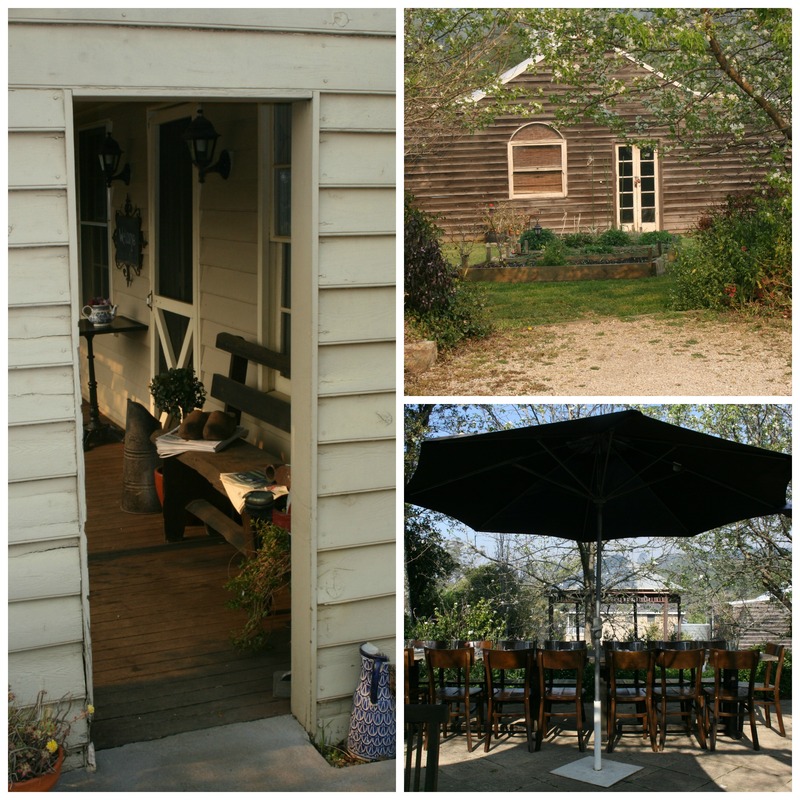 Lochiel House is a gorgeous restaurant in a gorgeous old house that serves gorgeous food. Located in Kurrajong Heights on the "other side" of the Blue Mountains, Lochiel House is a venue that all foodies need to add to their bucket list. 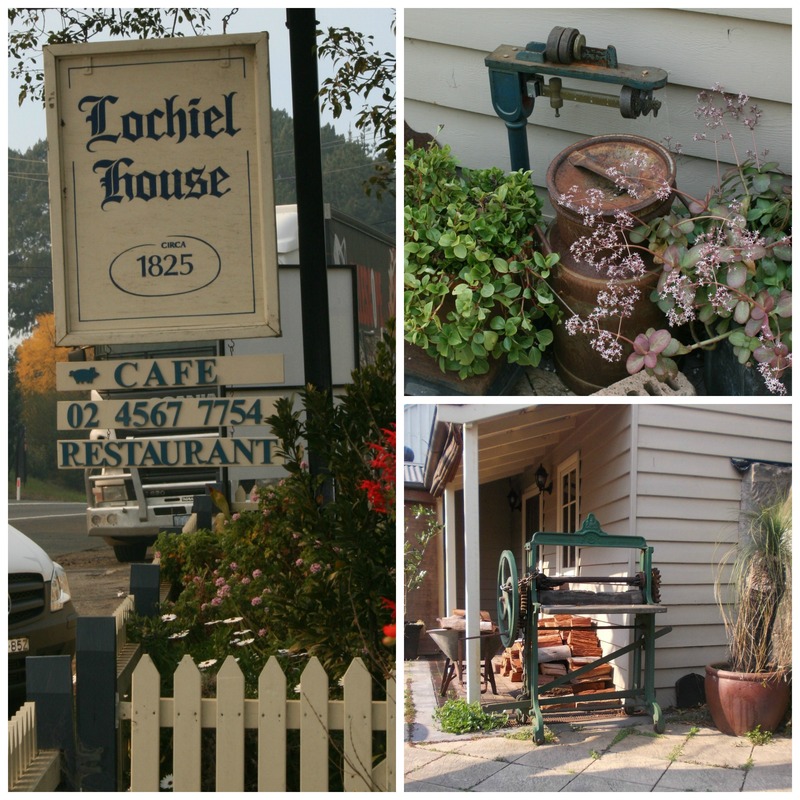 Lochiel House has been in the hospitality industry basically since it was built in 1825 by an Irish convict. It started out as an accommodation venue offering food and lodgings to weary travellers and locals alike and this tradition continues today - minus the lodgings. The house has been renovated in recent years to make it into the modern day eatery that it is, yet all of the original features have been retained. When you arrive you receive a warm country welcome from the hospitable staff. You have the choice of sitting inside the house or outside in the sunny courtyard. On a cool winter's day the inside is the best choice as there is a roaring open fire that sets the scene for your dining experience. When the mountain sun is shining, the outside is the perfect spot as you overlook the old out buildings and delightful edible garden and the bell birds will be singing in the back ground. The chef at Lochiel House prepares all sorts of delicious produce with a strong emphasis on the nose to tail philosophy of cooking. The waste not want not attitude is continued into the garden with the kitchen sourcing many of its vegetables directly from the vegetable patch that is flourishing out the back. The majority of other produce required by the kitchen is sourced from local growers, so the food miles are kept to a minimum. We dined at breakfast on decadent truffled scrambled eggs with mixed market mushrooms and the enormous Kurrajong full country breakfast would please the fussiest of big breakfast eaters. Service was fast and friendly, children were most welcome, and children's portions are available. The only negative of our breakfast experience was the coffee. The Lochiel House blend is sourced from a local coffee warehouse, unfortunately it was a bit too weak and milky for our liking - it lacked a decent caffeine punch. Lochiel House is only open from Thursday to Monday. They serve brunch all day as well as morning and afternoon teas. Their 'cream tea' is fabulous value for $13.00 – 3 scones with berry jam, cream and your choice of tea or coffee. On Friday and Saturday evenings they open for dinner, this is when the real waste not want philosophy takes over – how does the 'Nose to tail pork belly, trotter croquettes, tail & potato hash, tete de cochon with carrots four ways, apple puree & crackling' sound? If you are a lover of roast chicken may I suggest you "book a chook." This quirky concept is only available on Sundays for lunch and must be prebooked by Saturday. The cost is $100.00 and the chook will serve 4 adults easily, with all the traditional trimmings such as bread sauce, golden roast potatoes and home made gravy. So dear foodies I suggest you make a date in your diaries to try this little gem up in the foothills of the mountains. The food, the scenery and the ambience make it most certainly worth the journey out of the city. $100 for a baked chicken dinner? I'd be going for the pork I think! This looks so good!!! Truffled eggs and mushrooms...... I'm sold!